The Grand National is one of the most famous horse races in the world and one of the highlights in the British racing calendar. In 2017 the event takes place on Saturday 8th April at the Aintree Racecourse in Liverpool and presents you with the opportunity to arrive in style, using one of our helicopters. 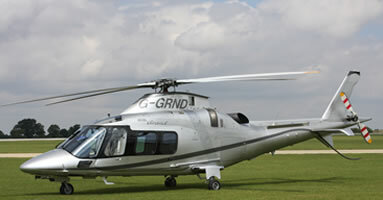 Our Grand National helicopter hire service is the ideal way to travel and beat the queues – with over 150,000 people attending the three day event you can travel safely and avoid the usual traffic delays. Whether you are travelling with family, friends or business associates we can get you there swifty and securely – we’re even able to pick you up from your property if you have the necessary space (half an acre) and an unobstructed landing area. The course is just over 4 miles and sees the horses jump 30 fences across two laps – it is also currently the most valuable jump race in Europe with prize money topping the £1 million mark since 2014. With such high attendance across the festival it is vital that you book your transport as soon as possible.